We’re bringing together the worldwide AI & Big Data community to tackle the challenges that the digital future presents at AI Expo in Amsterdam on 19-20th June 2019. With over 2,000 attendees set to join us across the two day event we will be exploring; Big Data, Business Intelligence, Deep Learning, Machine Learning, AI Algorithms, Data & Analytics, Virtual Assistants, Chatbots and more. AI & Big Data Expo offers a unique opportunity to be part of a leading technology event. Gain significant brand exposure and promote your company as a thought-leader alongside top-level speakers to an audience of relevant global professionals. For more information, or to discuss exhibiting, speaking or sponsoring get in touch using the form opposite. Network with potential clients & partners. Our combined conference & exhibition format maximises the opportunity for face-to-face time with your target audience. 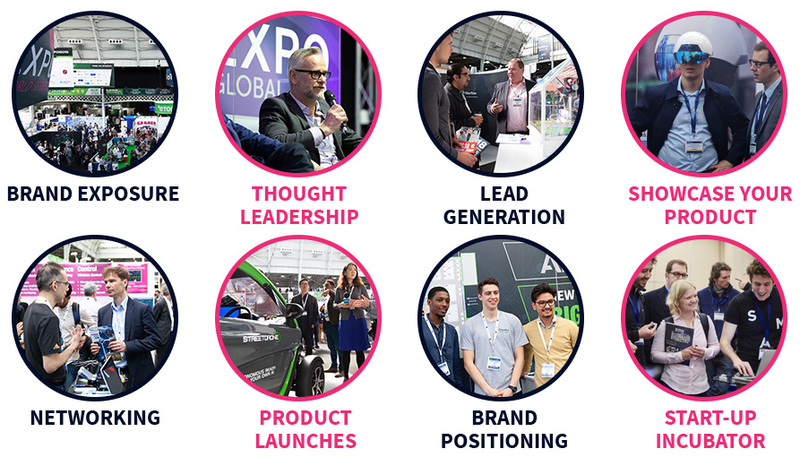 Promote your brand as an AI innovator and thought leader alongside the AI Expo brand. Our range of leading media partners and press will provide you with great publicity and increased brand awareness. Showcase your products and services to industry leaders and investors. The AI Expo offers the perfect platform to launch new initiatives and associate your brand with cutting edge AI technology.